Get to read this before using your Windows wallet-gui or cli, and to fix some sync issues. After seeing this as a common issue, im gonna try to give you a way to "prepare" Windows for using your full monero node. The post its from my authory and its the result of my own research. Each line is a command (press enter after each command ofc). If you feel like some old Window users, you can restart your PC after fixing the hour. At this point, its fixed already. Those commands are intented to synchronize your local host hour from ntp public servers (you can use 0,1,2 or 3.pool.ntp.org). There is a common issue with Windows time not being synchronized in a precise way, making some apps to malfunction (Some real time software like monero daemon is one of them). This is not Wallet-Gui-related, instead is a common issue with Windows. After that, you can use your wallet-gui and synchronize your monero node the usual way, waiting for it to sync the blckchain (if its the case that you actually have problems with your blockchain sync). If the blockchain doesnt sync after a while, close gui and follow this guide I am using the GUI and my daemon doesn't start anymore After you have done that, open wallet-gui again, and this time it will sync the proper way. Note that if you fail when using the guide above and decide to delete "data.mdb" you will have to wait for it to download the entire blockchain data again. If you read this before using wallet-gui for the first time, you dont have to delete anything. Just fix the hour issue before running your node. Remember that your wallet its saved in the directory you pointed it when ran wallet-gui the first time. The content of that folder its your wallet data, make a backup of it, the seed and pasword too. I have done this before using full nodes (ETH-mist and UBIQ-Fusion) and have been able to avoid some issues with blockchain sync. If you follow the steps above, you will have less issues when connecting to peers, hence the blockchain data will be less susceptible to get corrupted. wallet-cli users: remember to close the daemon properly (in the cli write "exit" when you finish using it) to help avoid issues too. That's it. I hope this helps the ppl having issues with blockchain data and/or wallet-node sync. P.S. 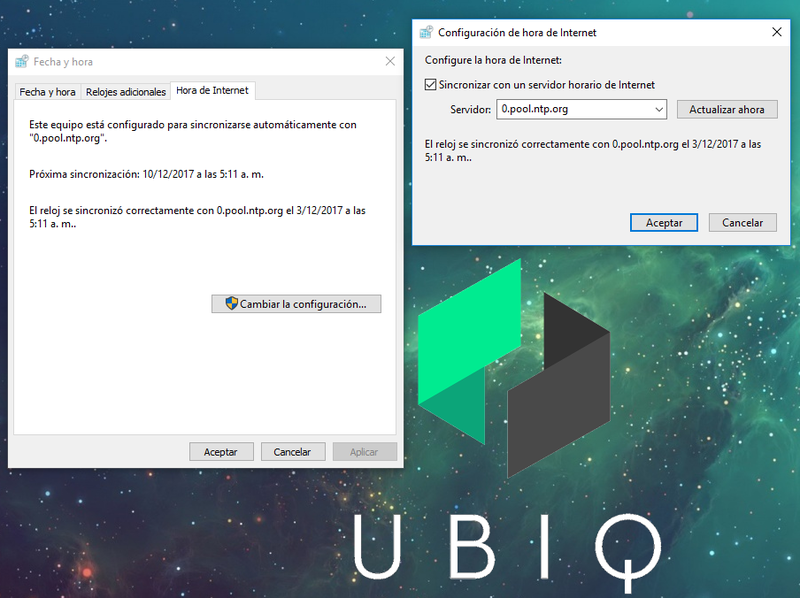 This is a monero-adapted guide of a post made by myself about UBQ-Fusion wallet in the UBQ reddit. Not the answer you're looking for? Browse other questions tagged monero-wallet-cli monero-wallet-gui synchronization full-node or ask your own question.